In cooperation with the U.S. Consumer Product Safety Commission, Fluke is voluntarily recalling certain 333, 334, 335, 336 and 337 Digital Clamp Meters that were manufactured between January 29, 2008 and February 27, 2009. If you own one of these clamp meters, please stop using it and send it back to Fluke for replacement. 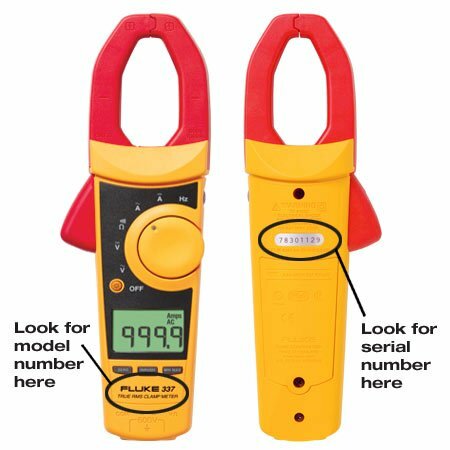 If you are not the primary user of the Fluke 33X Series Clamp Meter, please pass this notice along to the appropriate people within your organization. Please note: Serial numbers with the suffix "R" or the prefix "S" are NOT included in this recall. Through quality assurance tests, we have discovered a potential short circuit connection on the circuit board. This may lead to inaccurate voltage readings including a low or no voltage reading on a circuit energized with a hazardous voltage. This finding could create a hazardous situation if the user were to contact live voltage based on an erroneous instrument reading. Stop using your affected 33X series clamp meter(s) even if you have not experienced problems. Verify your clamp meter is affected using the serial numbers provided in the table. Call (888) 98-FLUKE for information on how to return your unit for a free replacement. We are undertaking this voluntary recall because we place tremendous importance on our customer's safety and the reputation of our products. Please accept our apologies for any inconvenience caused by this action.